OUAGADOUGOU, Burkina-Faso, October 31, 2013/African Press Organization (APO)/ -- An International Monetary Fund (IMF) mission led by Laure Redifer visited Ouagadougou October 17-30, 2013 to conduct discussions the seventh review of their economic and financial program supported by the IMF under the Extended Credit Facility (ECF). 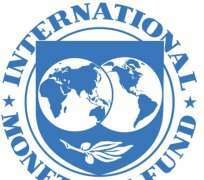 The IMF mission also discussed and reached ad referendum agreement on an economic program that could be supported under a successor three-year arrangement. The mission met with Mr. Lucien Bembamba, Minister of Economy and Finance; Mr. Mahama Zoungrana, Minister of Agriculture, as well as other senior officials, private sector representatives, civil society organizations, and development partners. The mission had the opportunity to visit, among others, cotton producers, ginners, the cotton association, and a fiber company in the west of the country. “Burkina Faso's economic performance remains strong. For 2014 and the medium term, projections for GDP growth remain around 7 percent and inflation should remain subdued, at about 2 percent. An accelerated pace of public investment, good weather, and more favorable export conditions could result in higher growth still. However, projections for economic activity in 2013 have been slightly lowered, to 6.8 percent. Factors behind the reduction include lower international gold and cotton prices, lower than projected public investment, and global and regional economic developments. The reduction in growth projections would have been larger still in the absence of government measures to improve resilience and productivity in agriculture, in particular in the labor-intensive cotton sector which is vitally important for inclusive growth. Inflation has declined sharply, due to much lower food prices compared to most of 2012, and is expected to average 2.0 percent for the year. External balances are expected to deteriorate somewhat in 2013 as a result of unfavorable terms of trade. “Revenue collection in the first half of 2013 was broadly in line with expectations, despite lower revenues from gold production and renunciation by the government of part of its per liter share of excise taxes on petroleum products, a measure instituted in May to help improve cost recovery of the state-owned oil importing company, SONABHY. Budget execution in the first half was lower than expected, especially regarding investment spending. Spending should accelerate in the second half of the year, although full execution of annual budgeted amounts may be challenging. New measures taken by the government to address spending bottlenecks are expected to accelerate investment spending in 2014 and beyond. For the medium term, the overall budget deficit is projected to be about 3 percent of GDP. Regarding the external sector, the current account deficit is likely to worsen, as a result of a slow recovery of the terms of trade, and imports needed to support the government's ambitious investment program. “Quantitative targets for the 7th and final review of the current IMF-supported program were mostly met, and all structural benchmarks were implemented. The financial situation of SONABHY improved substantially due to the tax rebate, an increase in May of retail prices for butane gas, and subsidies by the government. However, due to rising production costs, the financial situation of the state-owned electricity company, SONABEL, worsened. At the same time, concerns have intensified about the sufficiency of power supplies in the coming years, making even more challenging the government's plan to significantly expand rural access to the electricity grid between now and 2015. “The mission reached ad referendum agreement with the authorities on broad economic and financial policies for a potential successor three-year arrangement. With strong improvement in the government's revenue performance in recent years, commitments under a potential successor program would place more emphasis on public financial management reforms to improve the quality and pace of public spending, particularly to meet investment needs in infrastructure, education and training, and social spending. As laid out in the government's Strategy for Accelerated Growth and Durable Development (SCADD), these are key investments needed to promote more job creation and better distribute the benefits of the high growth that Burkina Faso has managed to achieve in recent years. The new program will also focus on effective management of mining revenues, and supporting measures for boosting the coverage and supply of energy, while putting the energy sector on a sustainable financial footing.